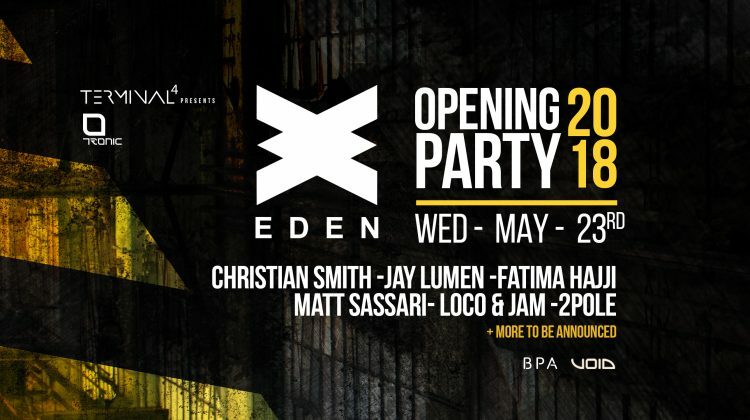 After a breath taking season in 2017 that put Eden back on the global clubbing map we are very pleased to announce our opening party on Wednesday May 23rd. Eden are proud to be working with up and coming promoters on the London techno scene Terminal 4. London brand Terminal4 lands in Ibiza for a summer full of intense parties! Each line-up is meticulously selected following their own unique trend of combining well established techno artists, whilst showcasing up & coming talent at the same time. 2017 was the year that EDEN made an definitive statement ensuring its place amongst the worlds greatest super clubs and putting San Antonio back on the clubbing scene. After a string of successful parties in London, the guys behind Terminal4 felt the time was right to bring a new vision of underground Techno to San Antonio. Working alongside the hugely respected Tronic label, Terminal 4 brings Christian Smith & Jay Lumen as well as some of the scenes best up and coming artists in the industry. ‘Terminal 4 Presents Tronic’ Is set to be an unbelievable opening party for 2018. With an explosive line up, and a few more surprises to reveal, this will be the start of something BIG for Terminal4. Terminal 4 have a clear focus and direction of where they are headed, destination techno as they say themselves. 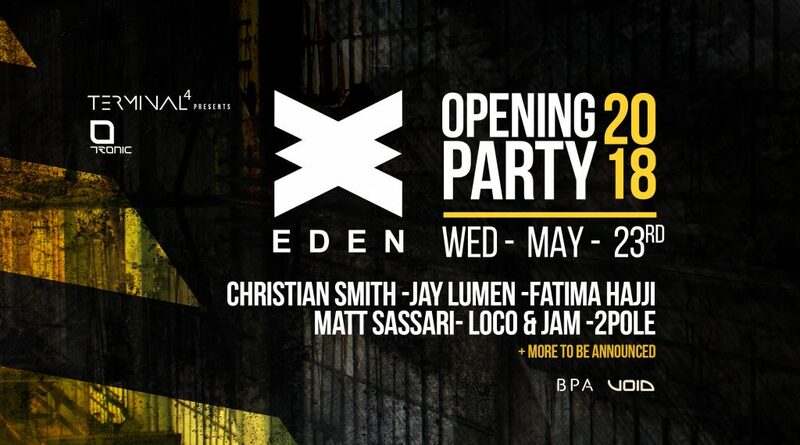 With the artist line up consisting of Christian Smith, Jay Lumen, Fatima Hajji, Matt Sassari, Loco & Jam and 2pole with many many more to be announced this is the perfect way to set the tone for what will be an astounding 2018 season at Eden. Last year saw 46 artists on the bill showcasing international and San Antonio based talent and this year will be no different. Expect more announcements coming very soon for Eden 2018.